The website and its content is owned by Andrew Lau (“we”, or “us”). 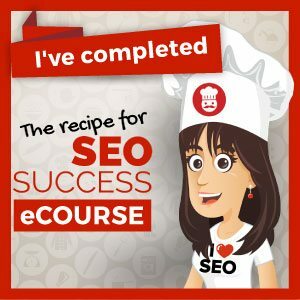 The term “you” refers to the user or viewer of https://andrewlaucopywriter.com (“Website”). A name, a telephone number and an email address if you complete our contact or sign-up form. We may send you marketing emails with either your consent or if we believe we have a legitimate interest to contact you based on your contact or question. When you download forms, templates or other questionnaires (as displayed on our Website from time to time), we only store or retain that information in the event that we work with you and provide you with professional services. 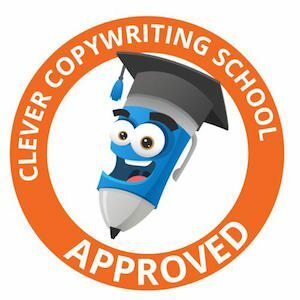 In that circumstance, the answers to your questions form part of the data we collect in order to complete your copywriting or creative project. We will only collect the minimum amount of information necessary for us to fulfil our obligation to you. Please note that you give us the above Personal Data voluntarily and by providing this personal information to us you are giving consent for us to use, store, collect and process this Personal Data. You are welcome to opt-out or request for us to delete your Personal Data at any point by contacting us at hi@andrewlaucopywriter.com. We hold your Personal Data in both hardcopy and encrypted electronic forms, in secure databases or cloud-based platforms that we own and operate or that are owned and operated by our service providers. If you wish to cease receiving any such information, you may let us know either by email to hi@andrewlaucopywriter.com or unsubscribing at any time and your request will be actioned immediately. Ask us not to send you marketing emails at any time by sending your request to hi@andrewlaucopywriter.com at any time. You can also just follow the unsubscribe instructions contained in our email or marketing communications. You can exercise these rights at any time by sending an email to us at hi@andrewlaucopywriter.com which we will respond to within 30 days. In order for us to provide the products and services to you, your Personal Data will be stored and processed in Australia. Where data is shared with third-party data processor in other countries, we put reasonable safeguards in place to ensure your Personal Data remains protected however we note that your Personal Data will be captured, transferred, stored and processed in accordance with their policies, practices and in compliance with their local regulatory laws. We take commercially reasonable steps to protect the Personal Data you provide to us from misuse, disclosure or unauthorised access. We strive to ensure the security, integrity and privacy of Personal Data submitted to our Website, and we periodically update our security measures in light of current technologies. We do not collect any information from (or directly market to) anyone under 16 years of age in compliance with COPPA (Children’s Online Privacy Protection Act) and the GDPR (General Data Protection Regulation of the EU). Our Website and its content is directed to individuals who are at least 16 years old or older. To the extent that we receive Personal Data or information from an individual we believe to be under the age of 16, we will obtain consent regarding that information from a parent or guardian and make reasonable efforts to verify that the person providing consent is indeed a parental figure. We take privacy complaints seriously. If you make a complaint, we will respond within seven (7) days to advise you of the person responsible for managing your complaint. We will try to resolve your complaint within thirty (30) days. When this is not reasonably possible, we will contact you within that time to let you know how long we will take to resolve your complaint. We will investigate your complaint and, where necessary, consult with third parties about your complaint. We will decide about how to address your complaint and write to you to explain our decision.